It’s become an all-in frenzy. Just about every commentator, writer and blogger in the land has had a crack at Tom Waterhouse – and rightly so. His mother and at least one “journalist” has attempted to quell the anger, but alas, it’s all been to no avail. Everyone I’ve spoken to in the business wants to see Waterhouse pull his head in, for the damage he is doing to the wagering industry is fast becoming irreparable. But I’m not going to dwell on what I or others think of Waterhouse and his overtly pervasive and irresponsible advertising practices. That’s been done. But some of the related commentary in the media is worth examining. It’s as if sports betting is suddenly the most dangerous form of gambling available. To link sports betting with high rates of problem gambling – as many journalists, psychologists and even academics have done recently – might be music to the ears of the pokie pushing Clubs industry, but it has little to do with facts. Many commentators and like have failed to understand that different forms of gambling have different returns, different attractions and ultimately, different rates of problem gambling and addiction. Latest figures show that sports betting accounts for just 1.6% of total gambling expenditure in Australia. 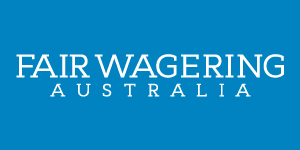 The Productivity Commission report into gambling found that wagering (of which betting on sport makes up a minor percentage alongside racing and tote betting) was responsible for less than 10% of problem gamblers. Pokies, not surprisingly, made up 80%. The same report also found that pokie players were up to 22 times more likely to be problem gamblers compared to those betting on racing. The figure for sports betting can be presumed to be even lower. Here’s why. Let’s assume that a punter is looking for some gambling entertainment on a Saturday afternoon and is looking to risk $200 of their hard earned. In other words, two hours of “enjoyment” (and I use that term loosely) at a pokie venue will cost you $240. Two hours sitting in front of the TV watching the footy? $10-$12. Your $200 will last more than 20 times longer with sports betting – and that’s assuming you don’t gain an edge over the bookie with your bets – as some do. No one gains an edge over the pokies. One touch of a pokie button equals one event which can last as short as 2.14 seconds where the punter will lose an average of 10% of their investment. A punter betting on the head-to-head outcome of an Aussie Rules or Rugby League match, is betting on one event lasting around two hours where they can be expected to lose just 5-6% of their investment. Sure, punters might bet on a few different matches, or even different betting options within each match. But, it’s not going to come close to the repetition experienced in other comparitive forms of gambling. The whole point is that sports betting is far less repetitive – and thus far less dangerous – gambling experience. And yes, the morally corrupt Clubs Australia really did state in their submission to the Review of the Interactive Gambling Act recently that they, “believe that the prohibition on interactive live (sports) betting should be maintained, given the potential for high rapidity betting”. I don’t know of too many sporting events that last less than 2.14 seconds. Yes, people can become problem gamblers by participating in any form of gambling. But suggestions that ”by normalising wagering associated with these sports, there is a high risk that the prevalence of problem gambling will increase..” are just unfounded. Surely the rate of problem gambling has to be looked at if one wants to target harm mimimisation measures and help reduce the numbers affected. But all too often people are putting all forms of gambling into the one basket. 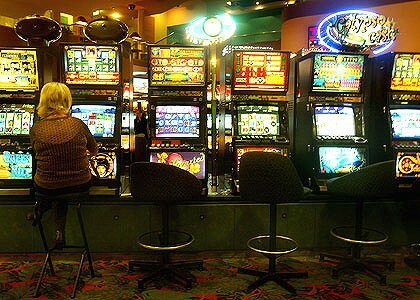 It is pokies that undoubtedly cause the most social damage of any form of gambling available. They are purely designed to be addictive and to lure the punter into a state of mistaken hope.